The Blue Sea Food Company is predominately a primary crab meat processor, we are great at picking crabs! However the demand for ready to eat crab products continues to grow. Where possible we try to create delicious new products that will help our customers spread the word about the spectacular crabs we have around our coast. At Devon crab we have boosted our range of dressed crabs and added crab meat mixed with flavoured mayonnaise that make delicious crab rolls. Crab is not just for summer so we have recently launched a crab thermidor mix, please see details of all of these below. Back by popular demand! Our crab cake mix can be used as it is or added to to create your own bespoke take of this great British dish. Try adding Ginger, garlic, lemongrass, chilli and coriander with panko bread crumbs to create that Asian twist. Or perhaps mix with potato flakes, smoked haddock and peas for a posh fish cake. Remember crab cakes don’t always have to be round! 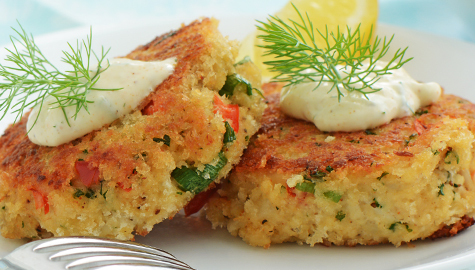 With our delicious crab cake mix you can easily make your own unique crab cakes / croquettes a staple on your menu. There is a growing trend for lobster rolls at the moment but as crab is so much tastier than lobster we decided to create our own flavoured crab mixes. These are simply delicious served in a fresh Brioche roll. We are currently trying garlic Mayonnaise, sweet chilli Mayonnaise, Coronation curry Mayonnaise and Wasabi Mayonnaise. Crab is not just for the summer! 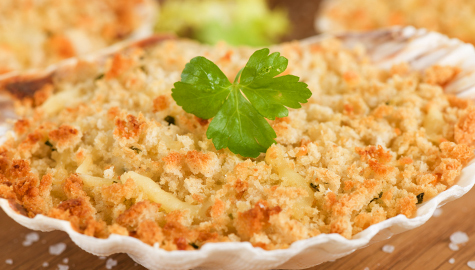 In fact our crab meats can be used to create some classic warm and healthy winter dishes from simple crab linguini to crab cakes and our current favorited, curried crab pasties! Another fine dish that is due for a return is the wonderful crab thermidor and that is just what we have done! Try simply filling a ramekin with our tasty mix, adding some bread crumb mixed with grated cheese and a little thyme and grill until bubbling, perfect! 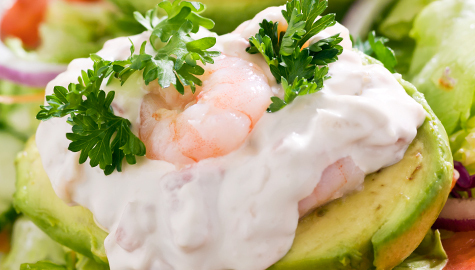 The Blue Sea Food Company has teamed up with Quality Cuisine just down the road for this one. 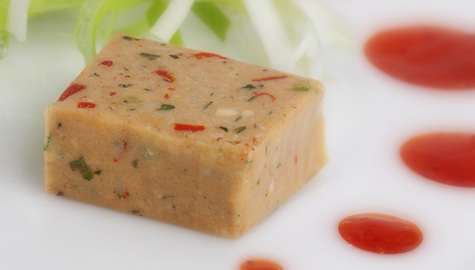 Using our Devon crab they make us a lovely crab with spring onion and wasabi terrine in individual 50g portions. These are sold frozen and simply need to be defrosted and served with a side salad and some quality bread to make a modern twist to traditional crab flavours.